Three turns bracelet topped with irregular silver-plated pieces and with handmade crystals of striking colors inspired by oasis. 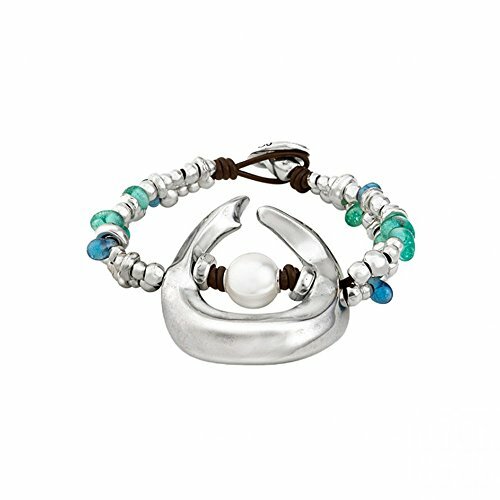 Include in its central part an original silver-plated piece inspired by the shape of a wave with a pearl in its interior, being the star piece of this collection. A jewel to wear both day at night and with it will be difficult for you to go unnoticed. A piece created by UNOde50 in Spain and 100% handmade.